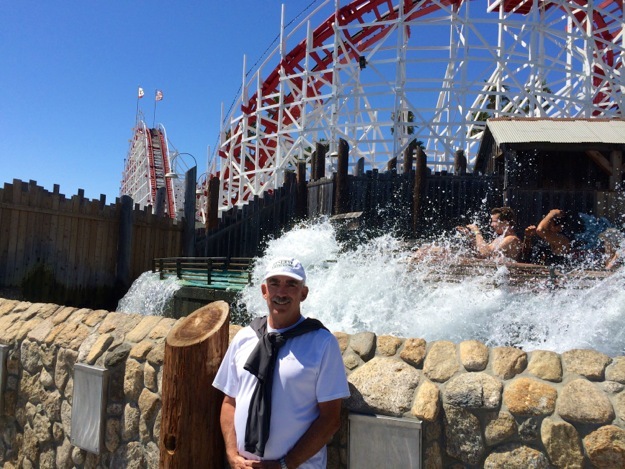 Taking a trip back in time at the Santa Cruz beach boardwalk | Who Da Thunk? Both L and D have vivid memories of teenage years spent at the Santa Cruz boardwalk so they’ve talked about going their together for the first time. Today was the day. Their agenda walk to the boardwalk from start to finish. 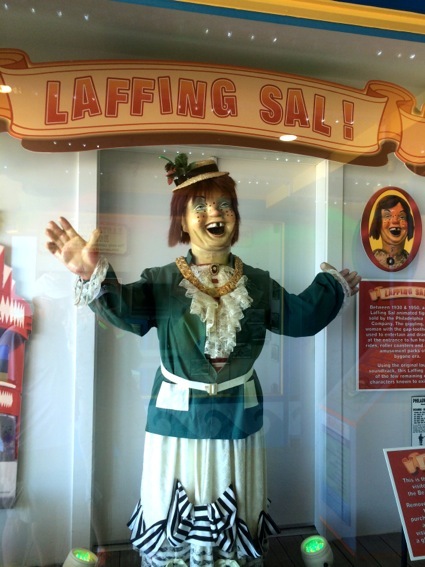 They stumbled upon Laughing Sal, which L remembers seeing at Playland at the Beach in San Francisco, which was just down the street from where her aunt and uncle lived. 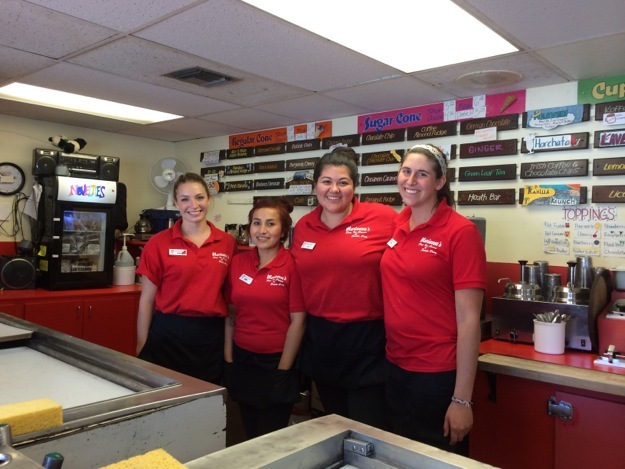 Their first stop was at the carousel, which may seem a strange ride for adults. But that doesn’t factor into the fact that it has a brass ring. In fact, almost all the riders on the outer horses were adults intent in snatching a brass ring and then managing to throw it through the clown’s face. For the record, D nailed one. The highlight of the afternoon a ride on the Giant Dipper, a wooden roller coaster built 85 years ago and still going strong. The ride is jerky but nevertheless still thrilling from the first plunge into the darkness through the climb up the hill and up and down and around. This entry was posted in Eating & Socializing, Living, Wider California adventures and tagged Giant Dipper, Santa Cruz beach boardwalk. Bookmark the permalink.